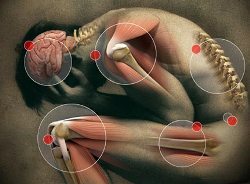 Chronic pain affects as many as one in 10 adults. It can be caused by a number of things, though the most common conditions associated with chronic pain are back injuries, headaches and joint pain. 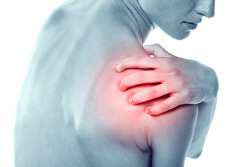 Chronic pain can also be caused by diseases or disorders such as fibromyalgia and nerve damage. Here are some of the most prevalent chronic pain conditions. Back pain affects eight out of 10 people at some point in their lives. It can be caused by an injury, or it can develop with age. Back injuries are an epidemic in the workplace, and are one of the leading causes of disability. Headaches are one of the most common types of chronic pain. 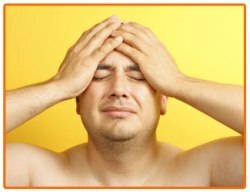 A headache is considered chronic if it happens for three months in a row, for at least 15 days out of each month. Fibromyalgia. Though the exact cause of fibromyalgia is unknown, its effects can be devastating. It causes widespread muscle fatigue and pain, and is often accompanied by chronic fatigue, sleep disorders and irritable bowel syndrome. Cancer. Cancer pain can be caused by tumors or lacerations to tissues or nerves. Pain is also a common side effect of many cancer drugs, such as those used for chemotherapy and radiation. Depression. While depression is commonly thought of as a psychiatric disorder, it is often accompanied by unrelenting pain. In fact, many drugs used to treat depression today are also effective at treating the physical symptoms of this disease. Tell someone you suffer from chronic pain, and they think they know exactly what you are going though. “Oh, I get headaches all the time.” In reality, chronic pain is very different from acute pain. Acute pain happens at the time of injury, and goes away when the injury heals. Chronic pain sticks around longer than it should, offering little to no relief. Obviously, the main symptom of chronic pain is pain. The word “pain,” however, does not accurately describe the experience of people who live with it every day. Chronic pain is more than just a physical symptom: it may also cause depression, fatigue, and irritability. It can even interfere with work, relationships and activities of daily living. 1. 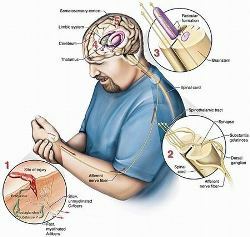 Electrodiagnostic procedures include electromyography (EMG), nerve conduction studies, and evoked potential (EP) studies. Information from EMG can help physicians tell precisely which muscles or nerves are affected by weakness or pain. Thin needles are inserted in muscles and a physician can see or listen to electrical signals displayed on an EMG machine. With nerve conduction studies the doctor uses two sets of electrodes (similar to those used during an electrocardiogram) that are placed on the skin over the muscles. The first set gives the patient a mild shock that stimulates the nerve that runs to that muscle. The second set of electrodes is used to make a recording of the nerve's electrical signals, and from this information the doctor can determine if there is nerve damage. EP tests also involve two sets of electrodes -- one set for stimulating a nerve (these electrodes are attached to a limb) and another set on the scalp for recording the speed of nerve signal transmission to the brain. 2. Imaging, especially magnetic resonance imaging or MRI, provides physicians with pictures of the body's structures and tissues. MRI uses magnetic fields and radio waves to differentiate between healthy and diseased tissue. 3. A neurological examination in which the physician tests movement, reflexes, sensation, balance, and coordination. 4. X-rays produce pictures of the body's structures, such as bones and joints. 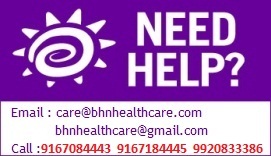 The typical pain management team includes medical practitioners, clinical psychologists, physiotherapists, occupational therapists, and nurse practitioners. Acute pain usually resolves with the efforts of one practitioner; however, the management of chronic pain frequently requires the coordinated efforts of the treatment team. The emergence of studies relating chronic pain to neuroplasticity also suggest the utilization of neurofeedback rehabilitation techniques to resolve maladaptive cortical changes and patterns. The proposed goal of neurofeedback intervention is to abolish maladaptive neuroplastic changes made as a result of chronic nociception, as measured by abnormal EEG, and thereby relieve the individual's pain. However, this field of research lacks randomized control trials, and therefore requires further investigation.